These are the cards within the Triple Threads set that causes so much yapping. 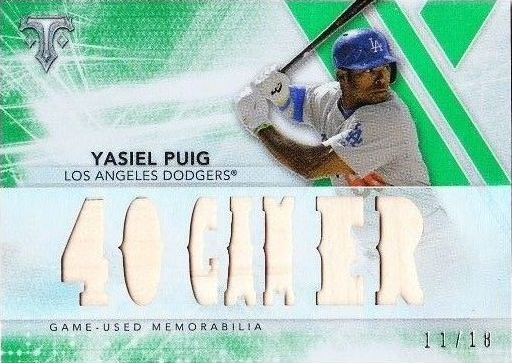 As you can see, Topps does its best to be as creative as possible when choosing phrases to use for their relic cutouts. 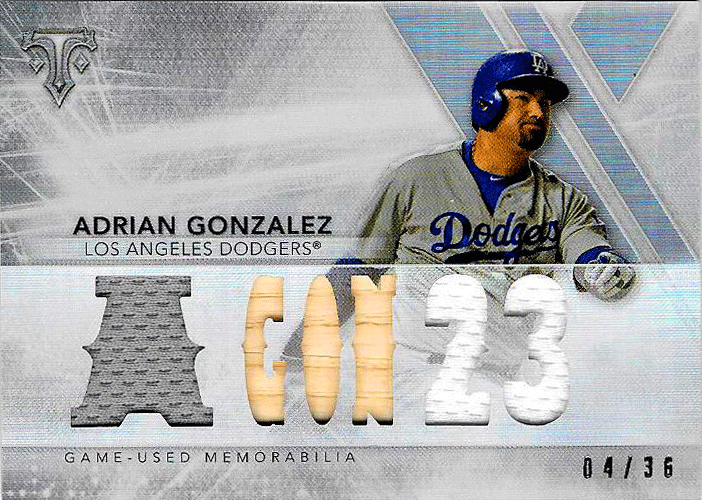 Sometimes they are boring, like the "A Gon 23" card seen below. 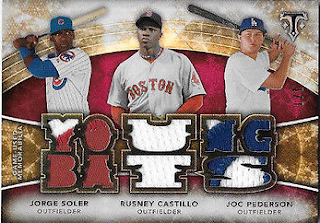 Other times they are simple and descriptive, like the "First Sackers" card (also below). What really gets folks talking, though, are the phrases that make you laugh or scratch your head in wonder. Last week I pointed out two of these cards in a post. Check that out here. 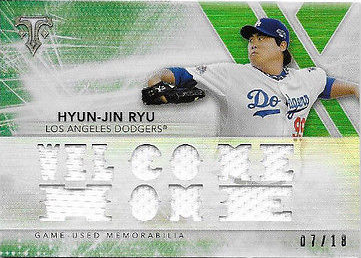 I shared some background of the Ryu "Smile Again" card and the Puig "Puig Destroyer" card. Today, I wanted to focus on another Ryu card that I found totally foreign. It has the phrase "Zero Sum." What the heck is that suppose to mean? I get what "Zero Sum" means on its own, but what does that have to do with Ryu? If you have any insight please let me know. BTW, Gellman at Sportscard Uncensored wrote a post recently pointing to other Triple Thread cards worth checking out. 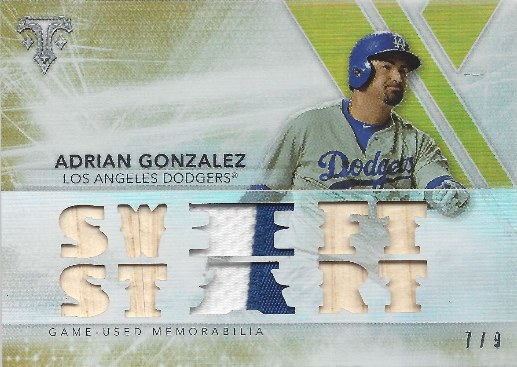 Check it out here: "2015 Triple Threads Relic Die Cuts – Best of the Worst." Go here to check out all of my previous post on this set.